An escaped Amur tiger was spotted roaming near a residential district in the city of Voronezh in central Russia on Sunday. Rescue teams have managed to catch the endangered feline and deliver it to a local zoo. Locals saw the animal walking along the M4 “Don” highway in the Borovoe district and alerted the police. Rescue teams shot the tiger with a tranquilizer and delivered it to a local zoo where specialists took care of the big cat. Police say they found the owner of the tiger who stated that the animal escaped during a stop. The man was transporting two tigers from Moscow to a zoo in the North Caucasus, TASS news agency reported. 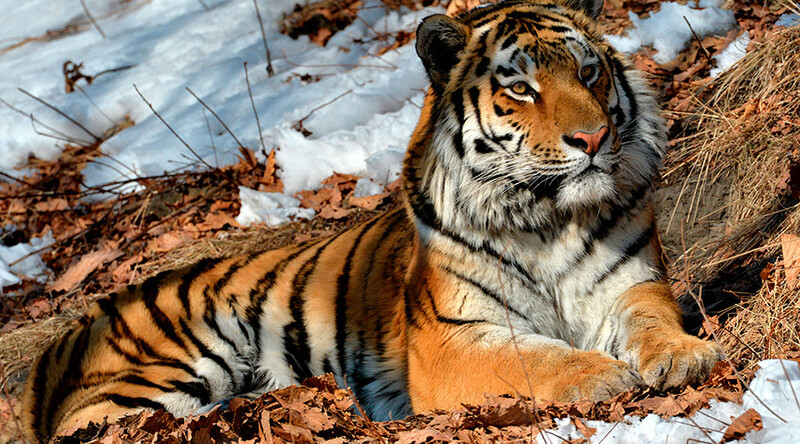 The case received a reaction from Sergey Donskoy, the Minister of Natural Resources and Environmental Protection, who ordered that the state environment watchdog to probe the carrier and the organization that owns the endangered tigers. He added that he believes that the owner and the carrier should face prosecution over their “unprofessional actions” as people could have been harmed as a result of their negligence.